Guys, Halloween is coming up SO fast! I am not going to lie… I’ve been pretty busy lately and spooky decor just isn’t doing it for me this year. Maybe next year when the kiddos are a bit bigger to actually enjoy it, but something about going all out for Halloween is killing me. The one thing I AM super geeked out for is the chance to dress up some gorgeous gourds! I love carving pumpkins and decorating with them, and I am so excited to spotlight a few ideas I found recently that I am totally in love with. In no particular order, here are 30+ fun, fancy, silly and spooky ways to decorate with all things pumpkin this year! 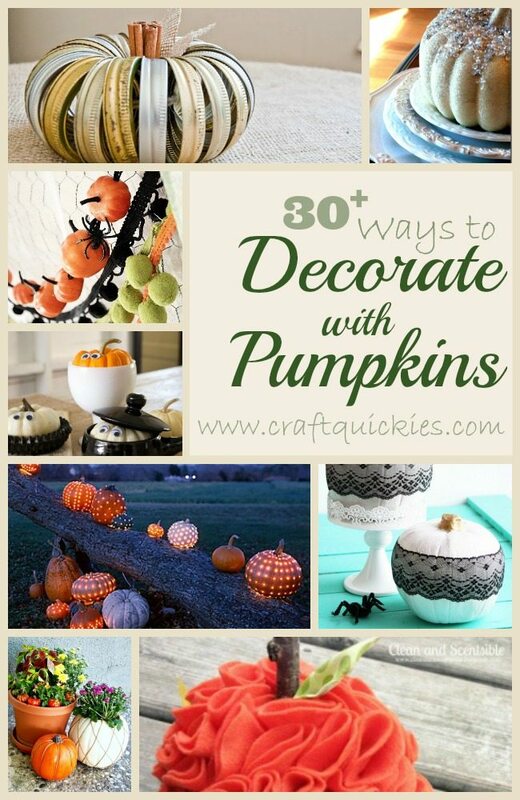 Thanks for the great round-up, Courtney and for including my twine pumpkins!